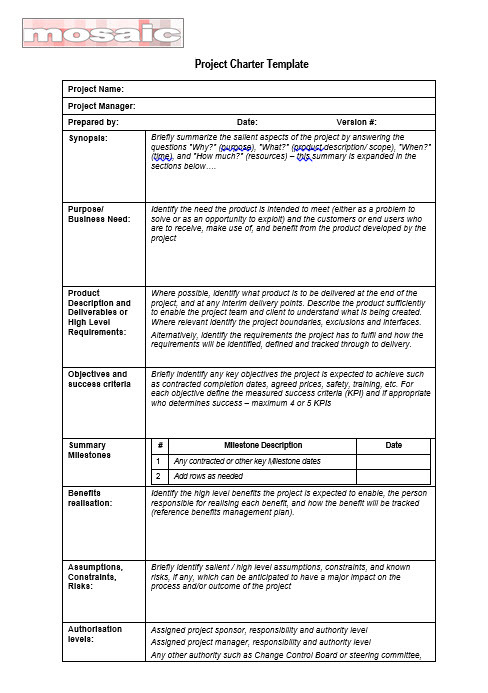 A powerful Excel template for identifying, documenting and prioritising the risks associated with a project or program. This is a simple Excel spreadsheet that provides the critical link between identifying risks in the Risk Register and implementing the actions needed to treat the risks. An easy to use Word template designed to make writing your project charter easy.